© Dawn Y. and Petals.Paper.SimpleThymes 2016. Unauthorized use and/or duplication of this material without express and written permission from this site's author and/or owner is strictly prohibited. Excerpts and links may be used, provided that full and clear credit is given to Dawn Y. and Petals.Paper.SimpleThymes with appropriate and specific direction to the original content. Brrrrr! The Polar Vortex arrived overnight bringing dangerous, record-breaking cold to the Midwest. We woke up to temperatures of -25 F (-31.6 C) with windchill temperatures of -50 F (-45.6 C). The loud sounds of ‘Frost Quakes’ can be heard as our soil reacts to the rapid temperature change. Today we are only four degrees warmer than Antarctica! Most schools here are closed today, mail delivery has been cancelled, and many people have decided to spend the day at home. We are very grateful for those who brave the Arctic temperatures to provide vital services. Friends and neighbors have been checking in to see if anyone needs help. Each time I peek out the window, I am so grateful for the heavy blanket of snow that is protecting my garden as it sleeps. Wherever you are today, we hope you are safe and warm! The month of January has flown by very quickly this year. Such a busy time here! My dear, sweet parents are staying with us in the midst of their Big Move from Arizona back home to Illinois. Mom and Dad are very eager to settle into an easier lifestyle in their apartment in a brand new Senior Living community. They can’t wait to unpack all of their boxes as we all work together to create their new home! There have been some very disappointing delays in recent weeks. So, we continue to wait and wait and wait for ‘move-in’ day to be announced. 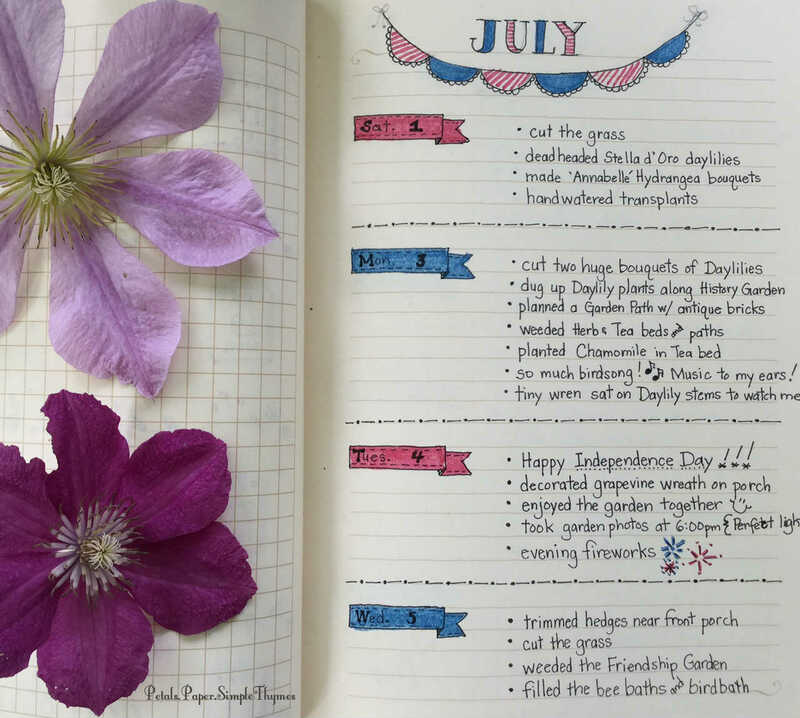 My Self-Care journal is the perfect place to record and track healthy habits. It’s interesting to notice patterns over time in my Sleep Log, Workout Log, and trackers for daily Hydration, Step Counts, Creative Time, and Time in Nature. My monthly Gratitude Log continues to be my most important journal page! Nightly reflection keeps me mindful of my Self-Care. This year, I will be more intentional about setting personal goals. In January, I created a new monthly page entitled Reasons to Be Proud. It feels like a nice addition as I reflect on my days. 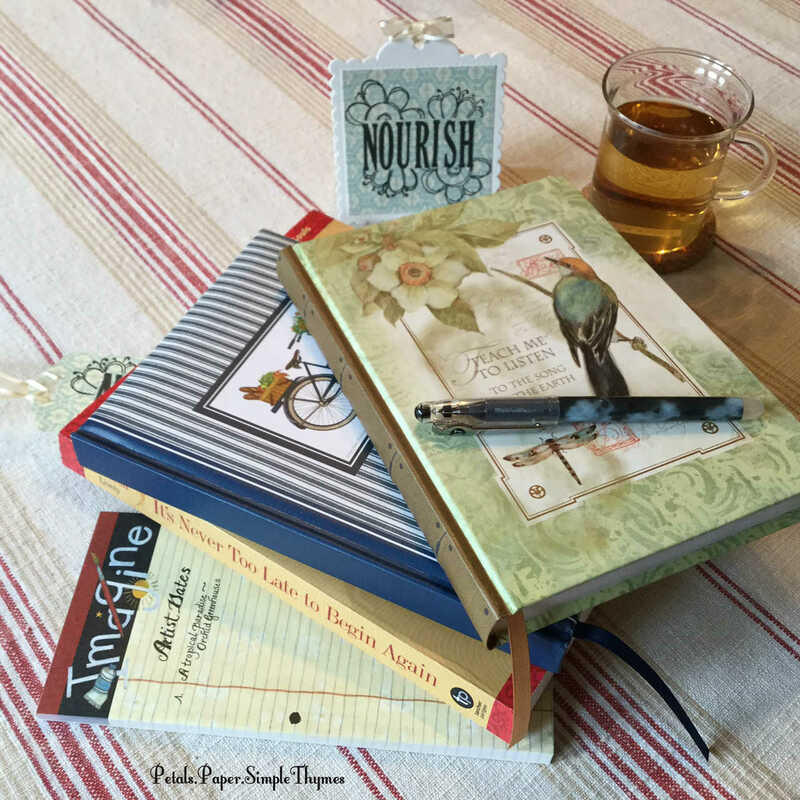 My Self-Care journal has become a personal space where I can get to know myself better. 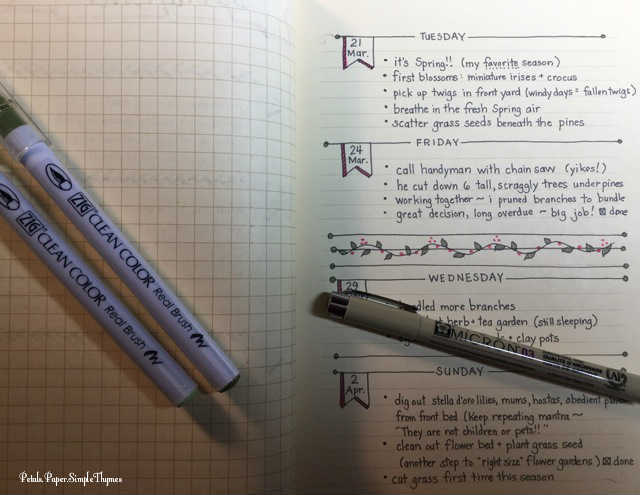 I only spend about ten minutes each night with my bullet journal. Yet it always feels like a luxurious a little ‘gift’ to wrap up my days with mindful reflection! 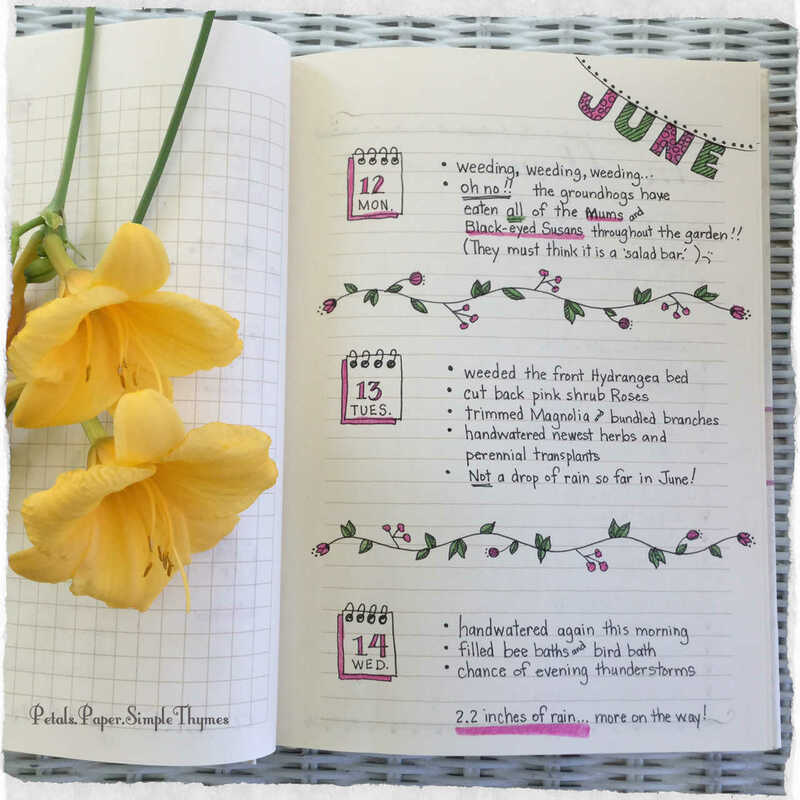 I’ve been savoring a wonderful book, The Bullet Journal Method, by Ryder Carroll, the creator of this style of journaling. 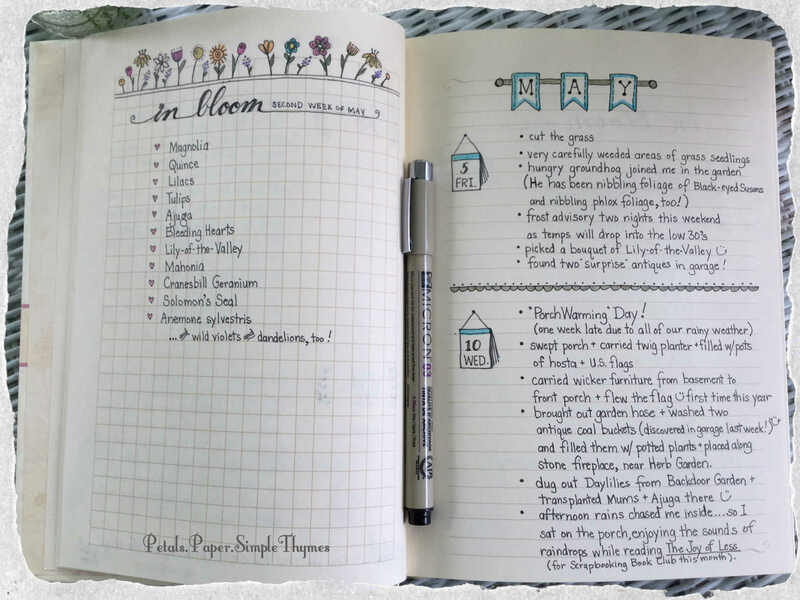 It’s so inspiring to explore all of the possibilities of this quiet, analog journaling process that requires only a simple notebook and a pen. Over the past two years, I have personally stayed very motivated by using a few art supplies in my bullet journals. 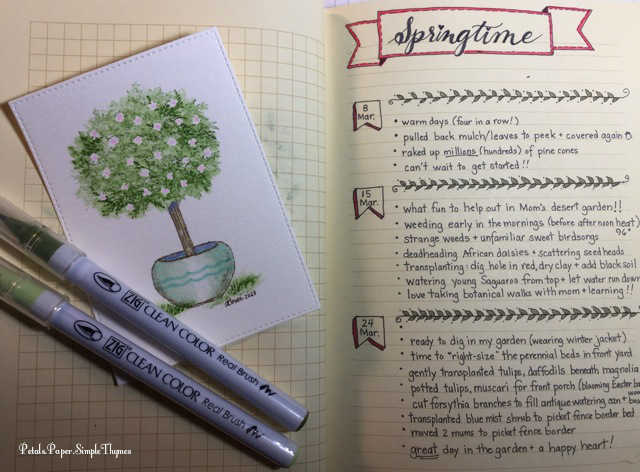 The chance to play with colorful inks, brush lettering, stencils, and a bit of doodling nourishes my creative heart every day when I open my journal. My 2019 BuJo will continue to be a very important Self-Care tool as I grow more intentional and spend more of my time on what truly matters. Doesn’t it sound inviting to actually spend more time on fewer things? It’s a lofty goal for someone whose ‘Renaissance’ (my ‘R’ word for Retirement) is filled with so many interests and plans! What new things have you been doing in January? Do you make resolutions or choose a ‘word’ for the New Year? How is the weather in your little corner of the world? that you need at home. So let’s create a ‘Basket of Sunshine’ together! (Danish Secrets to Happy Living). The author of this happy, little book, Meik Wiking, is the CEO of the Happiness Research Institute, in Copenhagen. He thoroughly understands hygge (pronounced HOO-GA)… and happiness! Each time I turn the pages, I feel so inspired by the feelings of well-being, coziness, and togetherness celebrated in Danish homes. Living a simple life, filled with gratitude, can bring such comfort into our busy days. Pure hygge! Being mindful of the health benefits of small touches of nature also adds feelings of hygge to our homes. It’s no wonder that the Danes are known as the happiest people in the world! Meik Wiking suggests preparing a Hygge Emergency Kit filled with essential items for those times when we all need a pick-me-up. Inspired by his list of helpful suggestions, yesterday I created a ‘Basket of Sunshine’ of my very own. I already had everything that I needed right here at home! I brought up a large, empty basket from my Paper Garden studio downstairs. 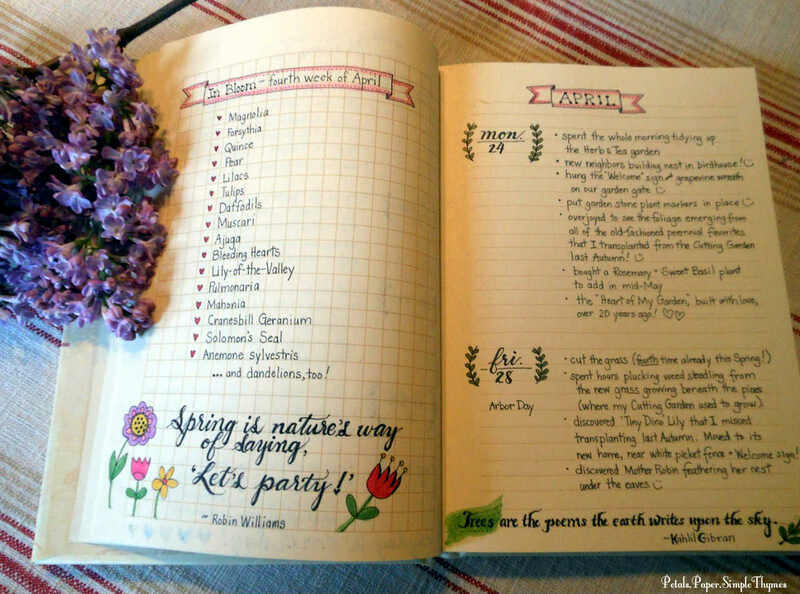 Instantly, I felt inspired to fill it with ‘happy’ things! The pink and white plaid scarf is one that I brought back from a very special visit to Paris one December. I just love wrapping up in this cozy scarf, overflowing with warm, happy memories! I added some letters and cards from friends and family, too. Writing letters always adds sunshine to my days! Next I tucked in the inspiring book Wabi-Sabi Welcome, by Julie Pointer Adams. I’m enjoying this book immensely as I soak up ideas for embracing the imperfect in our home and inviting friends to gather here. It feels sunny just dreaming up plans as I read! Next, I tucked in two beloved journals. 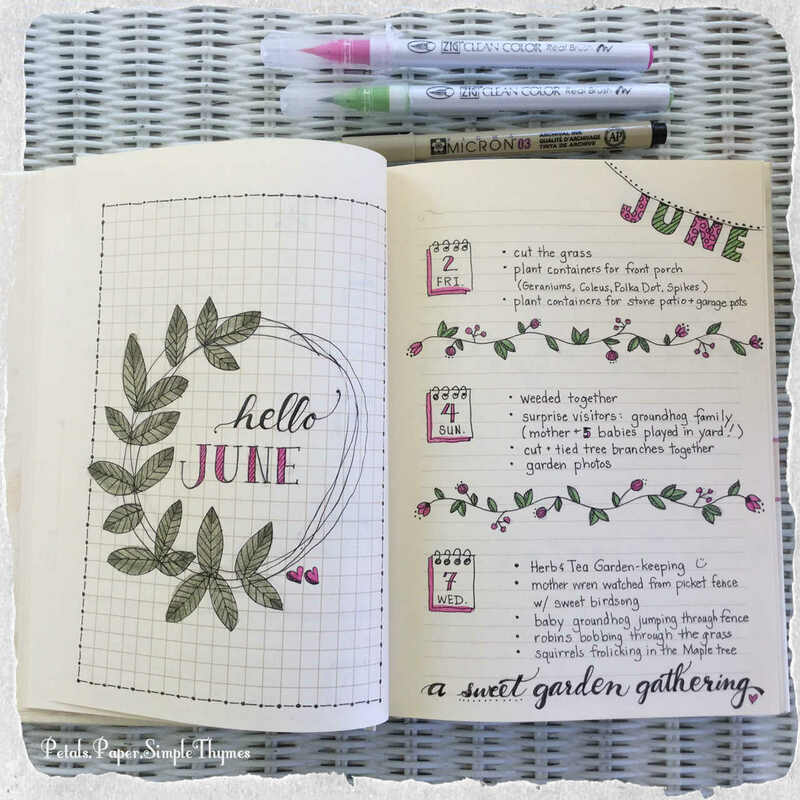 It gladdens my heart to savor my Morning Pages and my Garden Joys journals from 2017. I just had to squeeze in two tiny photo albums filled with memories of lovely gatherings with my favorite author, Susan Branch. Looking back at all of the special photos from a book signing event and two enchanting tea parties with Susan fills my heart with the joy of dreams-come-true. Music always soothes my soul. So, I added a few CDs: Nora Jones’ Come Away with Me is a perennial favorite. Her soulful, jazz vocals are so relaxing! Andean Nation’s Contrasts combines acoustic guitar and the haunting sound of bamboo pipes. I can still feel the warmth of their live performance as we walked through a lovely art fair, one afternoon in the desert Southwest. Instant sunshine! The Elegance of Pachelbel is such wonderful music for writing and meditation. My heart melts each time I hear Pachelbel’s Canon in D. Nearly ten years ago, an acoustic guitarist played it so beautifully as my dad walked me down the aisle. Joy! Joy! Joy! Tea makes everything better. So, I added tins of Blackberry Sage and Ginger Peach tea. I tucked in a pretty candle and there was just enough room to squeeze in a small dish of dark chocolate Kisses. Sweet little touches of happiness! Deciding which cozy things would fill my very first ‘Basket of Sunshine’ was a delight! I just gathered the items as I wandered from room to room. The whole process felt joyous. Whether it is a cold, snowy day, a time of worry about loved ones facing difficult times, or the need to escape from the news for a bit, now I know just where to turn for an extra dose of hygge. My ‘Basket of Sunshine’ is ready to fill my heart with cozy, happy, peaceful moments! Every few weeks, it will be nice to add new elements of ‘sunshine’ to this special basket. Perhaps the idea will catch on… and you will make a ‘Basket of Sunshine,’ too! We’d love to hear what things you might add to your own basket. Hope you will share with us! Until next time, stay cozy and be well. Thanks so much for stopping to visit today! For the past year, I have quietly been working each day on a very special gift ~ to me… from me. In celebration of my birthday last week, it feels like the perfect time to untie the ribbons and share this gift of love! 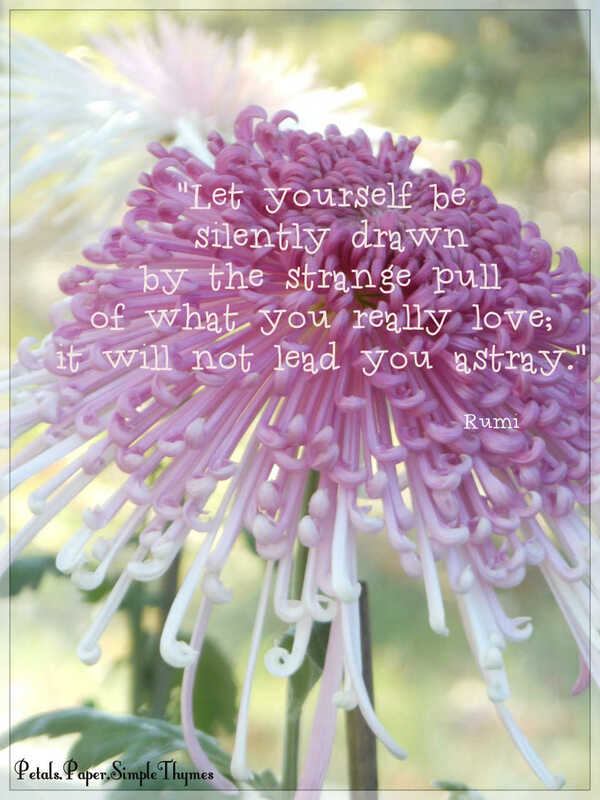 I have been learning to live fully by nourishing my heart, soul, and body in so many exciting ways. My ‘word’ for this year is nourish and this little word has guided me in many new directions. 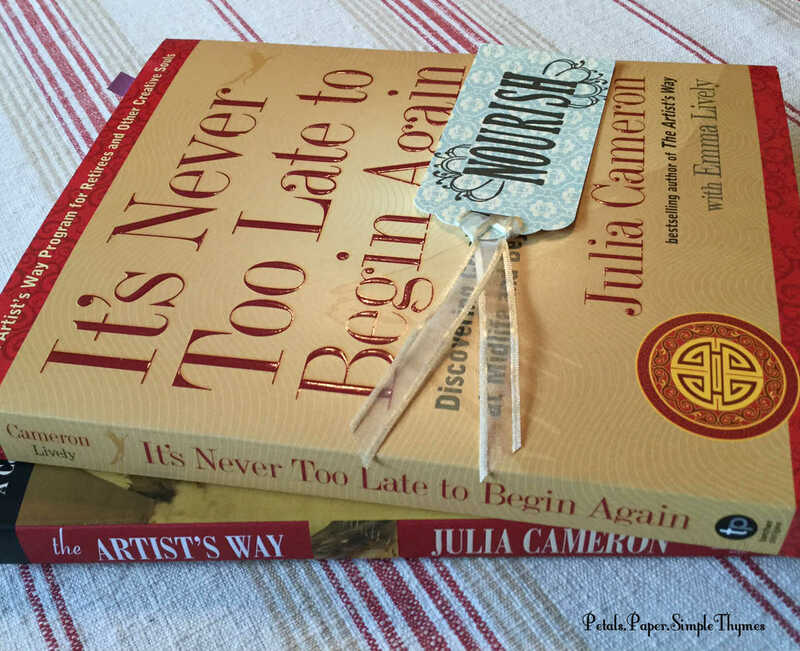 I have been slowly working my way through It’s Never Too Late to Begin Again by Julia Cameron. Writing Morning Pages, going on Artist Dates, taking Solo Walks, and Writing Memoir have all helped to nourish my creative heart and soul. All year long, I have also been nourishing my body and building a healthy relationship with food. Slowly, ever-so-slowly, I have ‘right-sized’ myself to a healthy weight (set by my doctor). It has been my most important birthday gift ever! Although I have tried many times on my own over the years, it was always a struggle. Using the Weight Watchers app, I learned to be mindful of everything that I am eating. Although I had been making healthy food choices, portion control was a problem in the past. 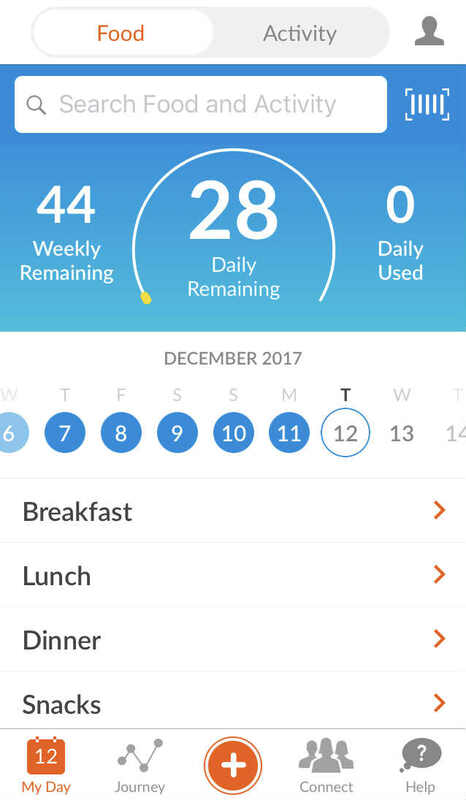 Now I use the Weight Watchers app to track each food and the amount I am eating. No food is off limits. Instead Weight Watchers has determined a Smart Points value for each food based upon its calories, saturated fat, sugar, and protein. I know my daily Smart Points budget and am able to make smart choices throughout each day. Additional Weekly Smart Points make it possible to enjoy those special celebrations that life brings. In addition to tracking all of my meals and snacks, the other thing that truly made a difference for me is attending my weekly Weight Watchers meeting. I always think of it as a special gift that I am giving myself ~ a gift of time for my health. I faithfully go every Thursday morning. On the rare Thursdays that I am out of town, I make sure to find a Tuesday meeting or a Wednesday meeting instead. Gathering together as a community each week is a great time to share tips, recipes, encouragement, and inspiration with one another. I have made so many new friends along the way. At every meeting, Karen shares her knowledge and experience, while Fay shares kindness and encouragement as I step on the scale (privately and discreetly). Throughout the year, I have continued my usual, active lifestyle. Taking walks in nature, working in the garden, and mowing the lawn helped me stay active during the warm weather. During cold weather, walking indoors at the mall has been a great way to ‘walk and talk’ with my husband or dear friends. It is my intention to make the Weight Watchers plan work with my usual lifestyle, so that I can continue doing what works for me long term. Slowly, ever-so-slowly, I began to see and feel the results. 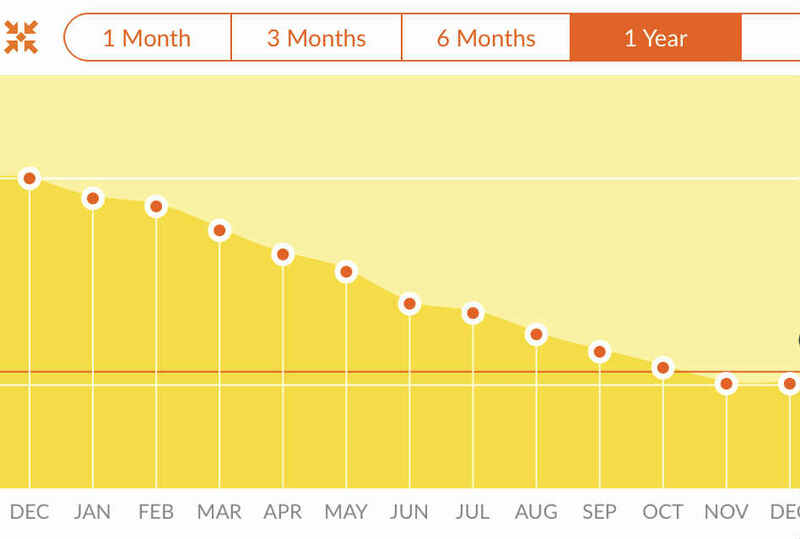 My average loss was about one pound each week, although sometimes there was a plateau or even a small weight gain. Fay was especially encouraging at those times. 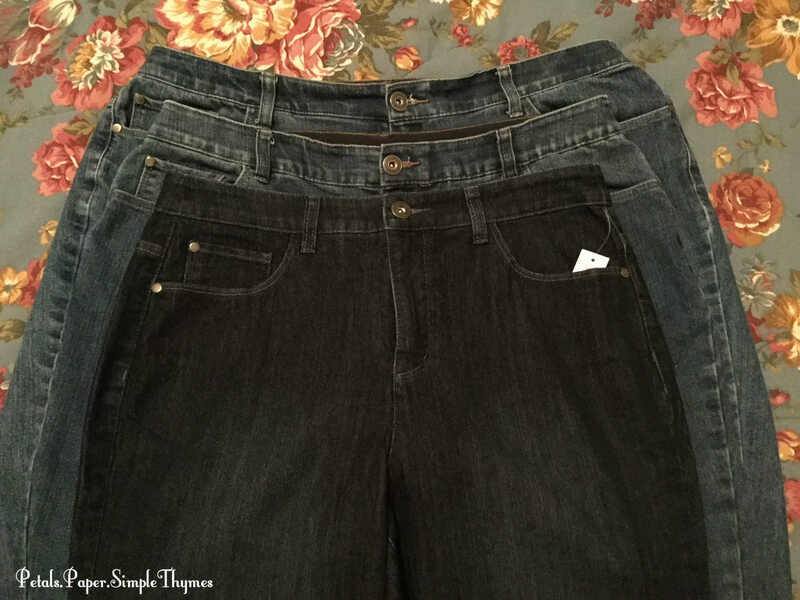 Little-by-little, I began to ‘right size’ my wardrobe, too. It has been fun to shop in different stores and discover my true style. Although everything in my closet is new, there aren’t too many things now. I have intentionally left plenty of ‘white space’ in my tiny closet. It makes my heart smile each time I open the door! It has felt so good to donate all of my clothing and share my very favorite clothes with friends. Hopefully, they will feel like warm hugs to everyone who wears them! Along with all of the health benefits, there were also tiny, tangible bits of ‘bling’ from Weight Watchers along my journey. 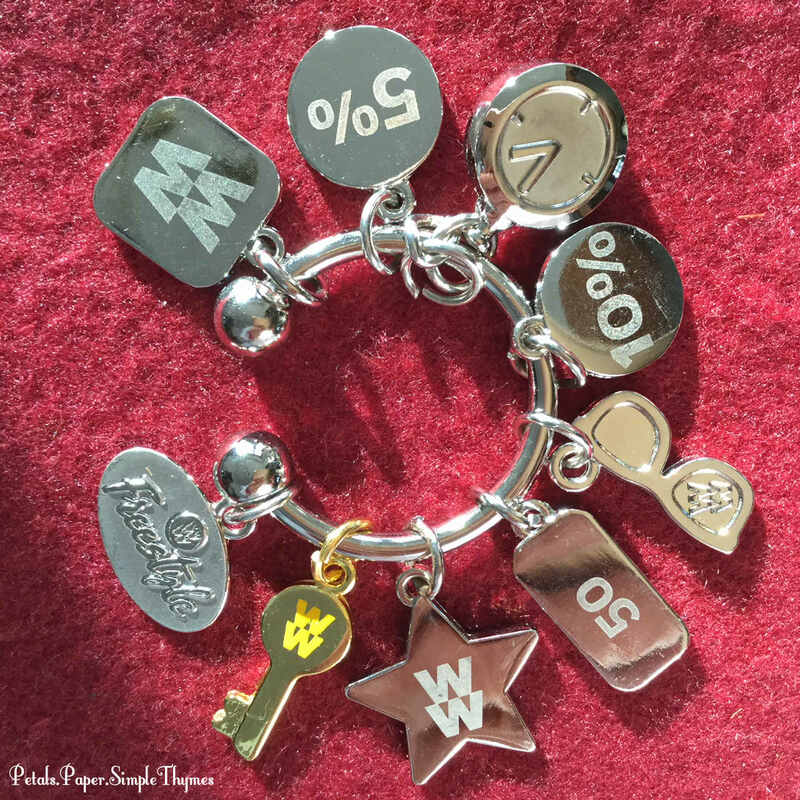 These meaningful charms celebrate: My first four weeks of meetings, 5% of my body weight, Making time for myself, 10% of my body weight, Creating a Vision (with themes: nurture, explore, create, imagine, commit, transform, embrace,…), Weight loss, Reaching my goal weight, Becoming a Lifetime member, and W.W. Freestyle. At our weekly meeting, we celebrate each time someone receives a new charm. It is a lovely time of encouragement, honoring the huge commitment that it takes! 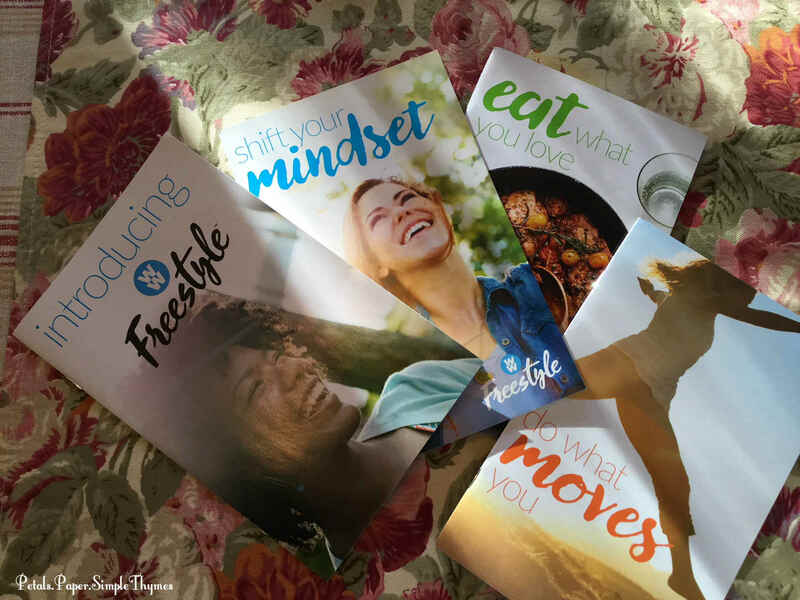 Just last week, Weight Watchers introduced a new plan that gives us more freedom and flexibility with our Smart Points. For anyone struggling with weight issues, this is an exciting time to consider getting healthy and living more fully. Now I’m creating a special Self Care (bullet-style) journal to plan and document this new chapter in my journey. It will help me to reach my new goals for activity during the winter months, including walking indoors, Zumba, Barre workouts, and a return to my beloved Yoga practice. I’m really looking forward to the challenge! For me, this journey has been so much more than weight loss. I have been continuously blessed with the love and support of my dear husband, my wonderful family, and encouraging friends. I know they will continue to support me as I flourish in new ways! Huge hugs, you guys!! and late afternoon rainstorms have been blowing across the plains. and I’ve been spending lots of time in the garden! inspired by this wonderful book by Kerry Ann Mendez. 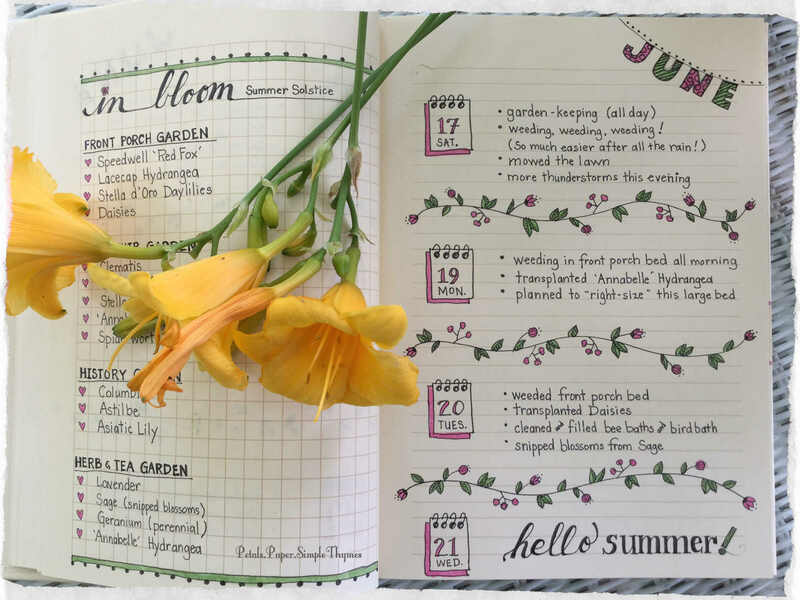 bullet-style, in my Garden Journal. In our area, we have had over seven inches (18 cm.) of rain so far this month. Northern Illinois has had twice as much rainfall and rivers there are overflowing their banks. Our thoughts are with everyone experiencing the terrible, widespread flooding. Unfortunately, heavy thunderstorms are expected again tonight. along the length of our garage. when I moved here and learned to garden. to remove another large patch of orange Daylilies. now we can fully enjoy the blossoms in the History Garden! when we removed a stone planter in the front yard this spring. past the oldest perennials in our garden! that I use in my artwork would be perfect in the garden, too. and pattern repetition from nearby garden beds. Finally, I planted grass seed in the bare soil in the foreground. Just this week, it felt so wonderful to complete another big gardening goal! What are your favorite and least favorite garden tasks? and brewing a cup of homegrown herbal tea! and Bishop’s Weed as they spread through my garden. Digging up Daylilies is just exhausting. So glad that task is finished! Heartfelt thanks for chatting by the garden gate with us today. Keep blooming and growing each day this summer! P.S. We just returned from a wonderful, little adventure! ♥♥ Can’t wait to share it with you very soon! Early mornings in our Midwest garden fill my heart with both comfort and joy! Those relaxing busy hours spent garden-keeping have been the perfect time to watch my garden dreams materialize. It’s so exciting to see all of the changes in the garden! Throughout last Summer and Fall, I worked diligently to ‘right-size’ my large perennial gardens. 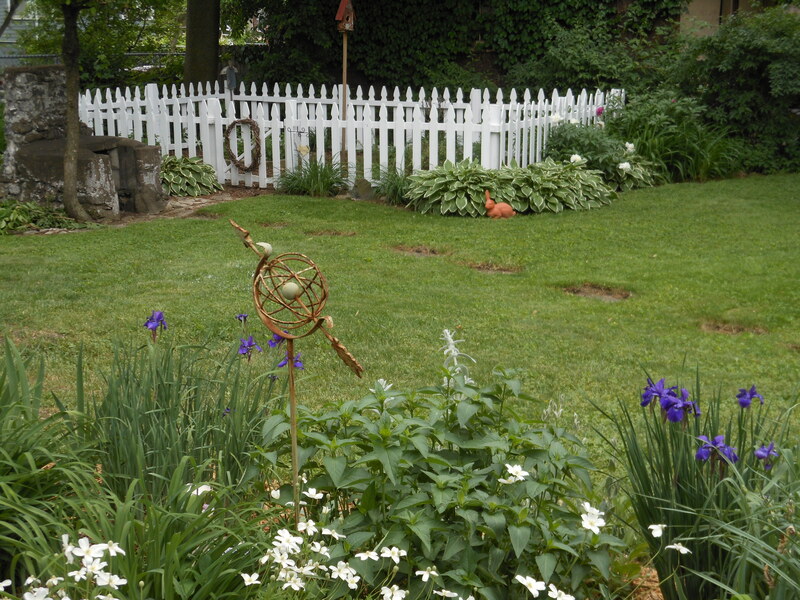 Early this Spring, we removed two more perennial beds and two bushes from the front yard, replacing them with grass. We just love our new, simplified front yard! We are not finished making changes yet. The large Magnolia bed, Front Porch bed, and Side Porch bed continue to keep me very busy. This Summer I am pondering ways to ‘right-size’ these garden beds next. The guidance (and courage!) 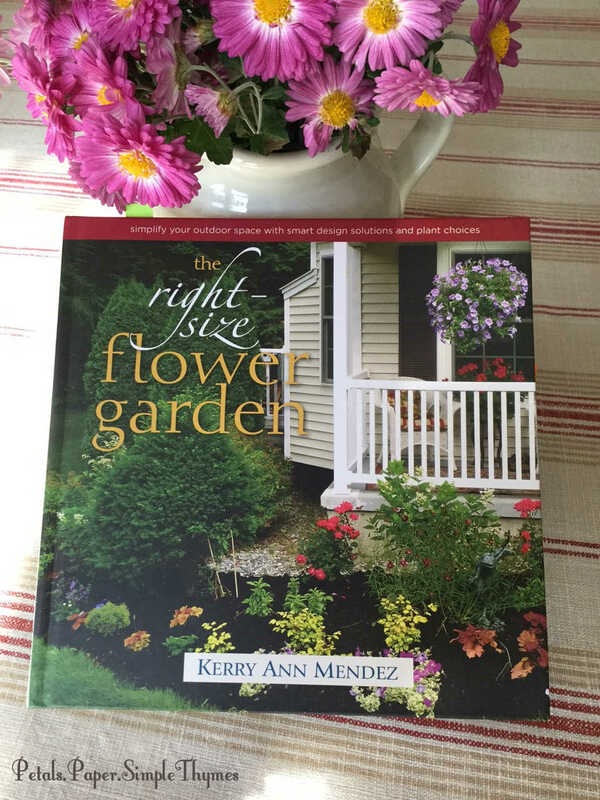 offered by garden author Kerry Ann Mendez, in her book The Right-Size Flower Garden, continue to inspire me to make changes throughout my garden. 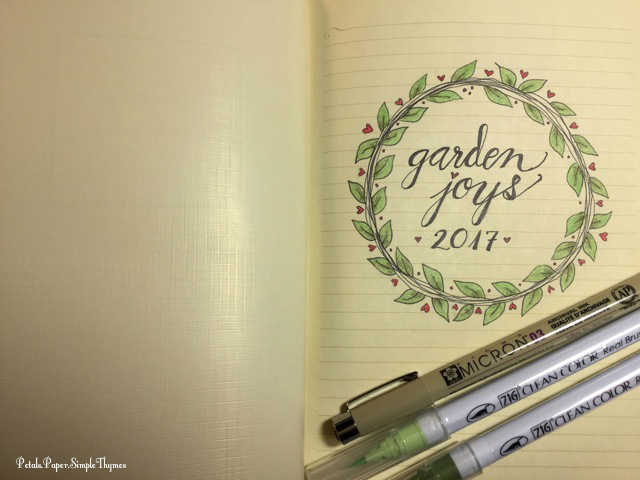 This year, my new ‘Garden Joys’ journal has also become a very helpful tool as I document the changes in our garden. I’m noting the bloom times of the perennials in their new beds, hoping to provide continuous color throughout the garden. Just looking back over all of the changes so far has been a joy! 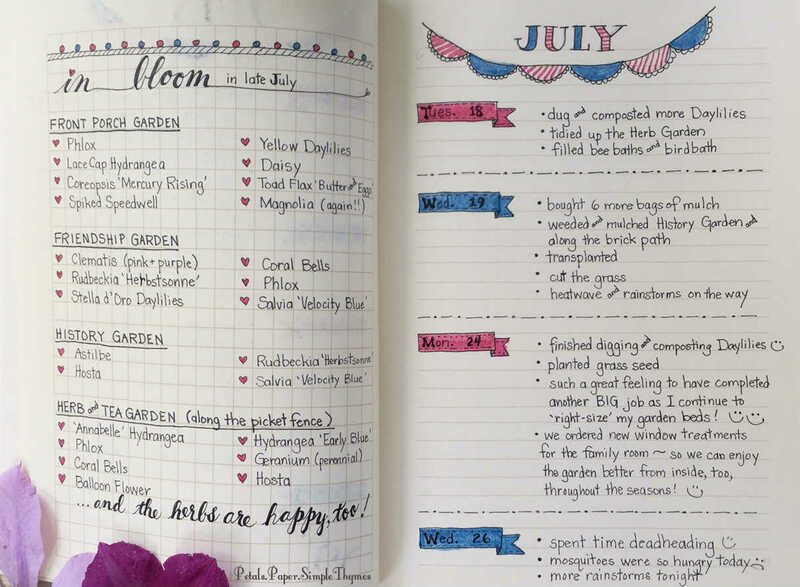 It makes the time spent on this bullet-style garden journal feel so worthwhile. squirrels, and bunnies are welcome guests. to care for the eggs in her nest! I am always happiest when I am working in my Herb & Tea Garden. 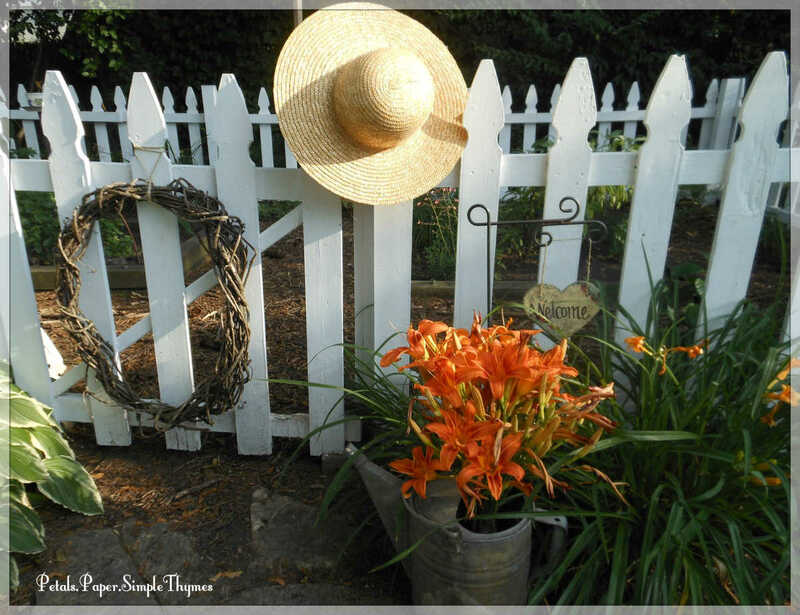 Just stepping through the garden gate fills me with sweet memories. It truly is the ‘heart’ of my garden ~ built with love! We have our garden challenges this year, as well. all of the Mums and the patches of Black-eyed Susans throughout the garden! He (oops!) She now has five young groundhogs who are nibbling everything. and helping themselves to Oregano, too. 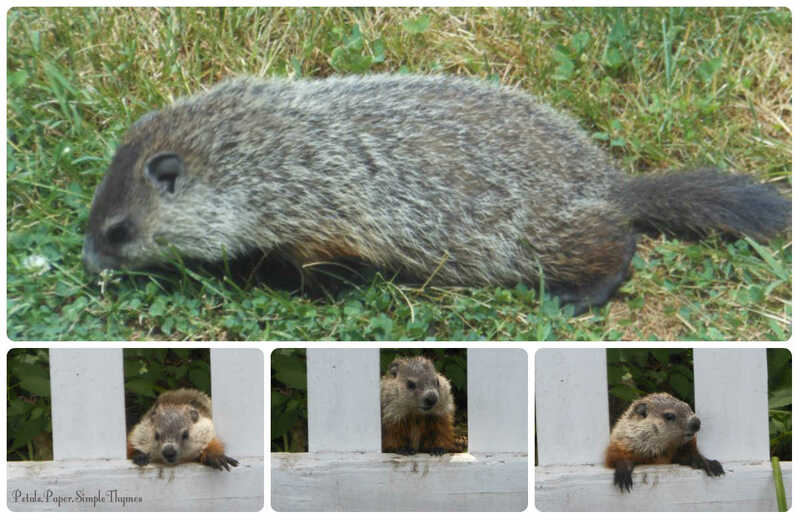 I do wish our groundhogs would develop a healthy appetite for weeds, instead. The first two weeks of June were extremely dry, but recently we have had lots of rain. So, garden-keeping has kept me extra-busy this week. The wet soil has made weeding so much easier. What’s happening in your garden? 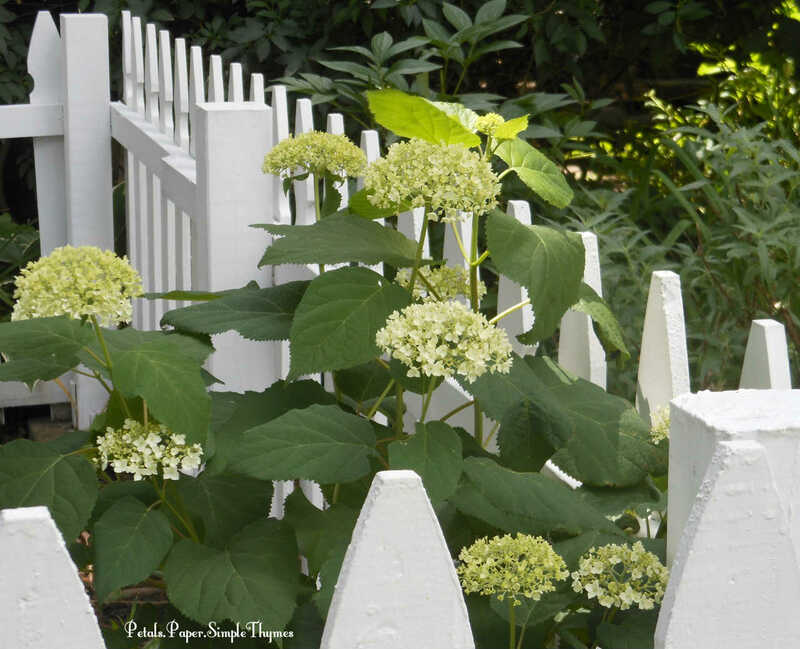 What challenges do you have in the garden? What kind of blossoms have you been cutting for bouquets? 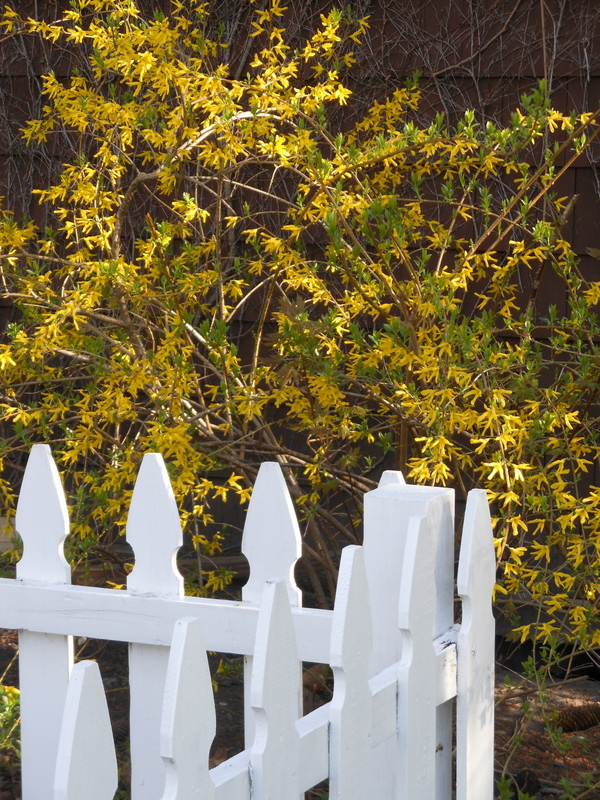 Thirty years ago this Spring, I bought my cozy, little bungalow with its large, mature garden. Oh, my! There was so much to learn (and remember) ~ both inside and outside!! My dear, sweet parents would come visit every weekend to help with house restoration projects. My mom offered her sage wisdom as she taught me all about gardening. 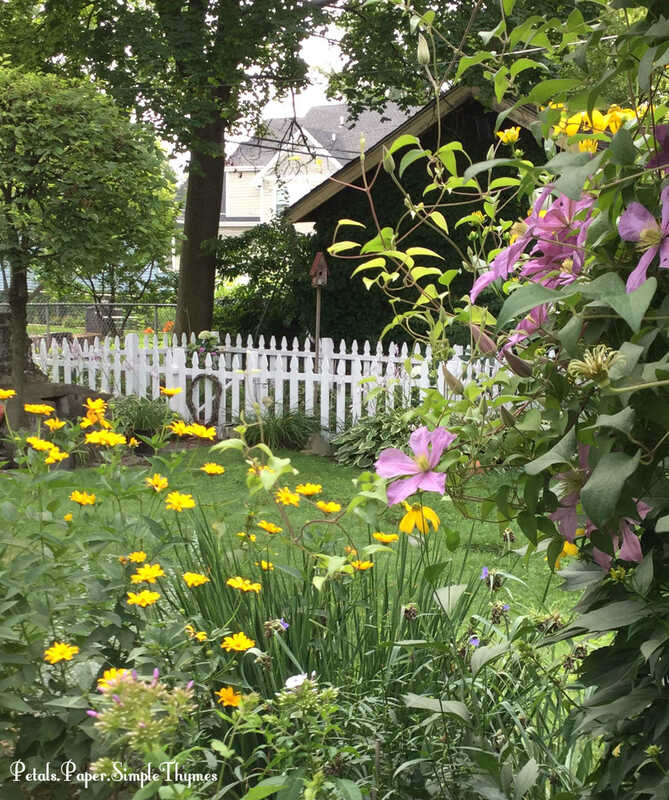 (Heartfelt thanks, Mom, for sharing your passion for gardening with me!) I definitely needed a place to hold all of this new learning! 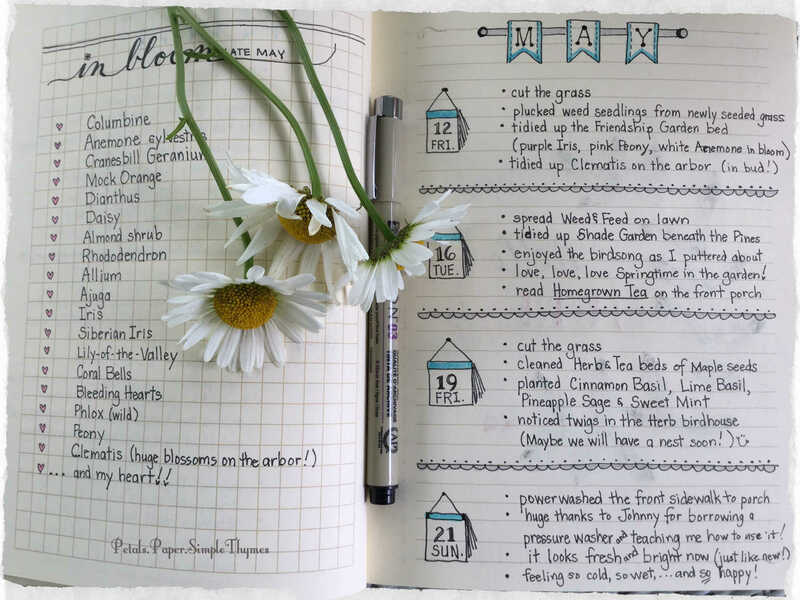 My earliest garden journal was a simple, spiral sketchbook, filled with pencil-drawn maps of each flower bed. As I learned the names of my plants, I would happily add them to the little maps. Plant tags and empty seed packets were taped into my journal as my garden grew. I took careful notes of how many flats of each annual I bought to add instant color on planting day, every year in mid-May. 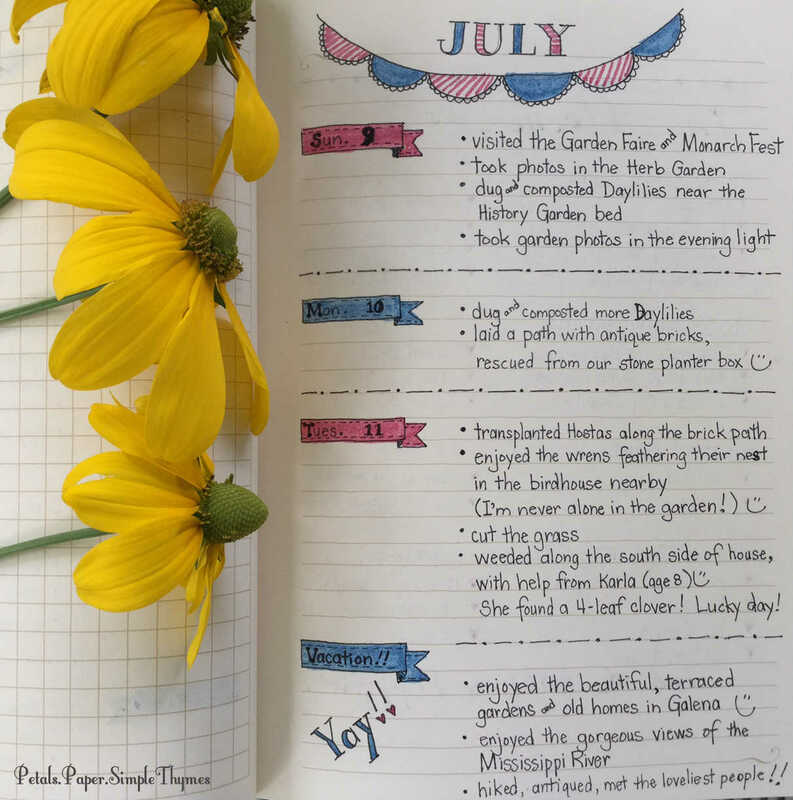 Over the years, my gardening style evolved into cottage gardens filled with old-fashioned perennials… and my garden journal grew even more important. 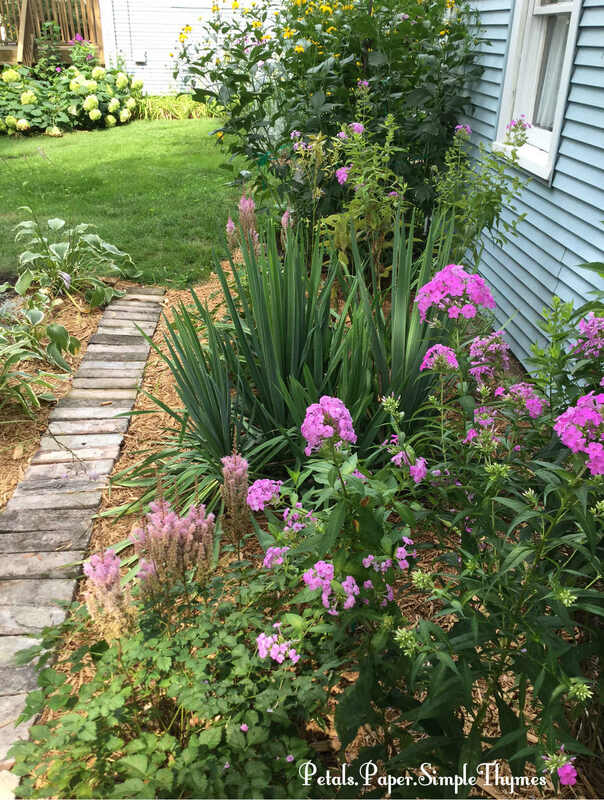 Each year, I happily dug, divided, and moved my perennials around and created new flower beds. 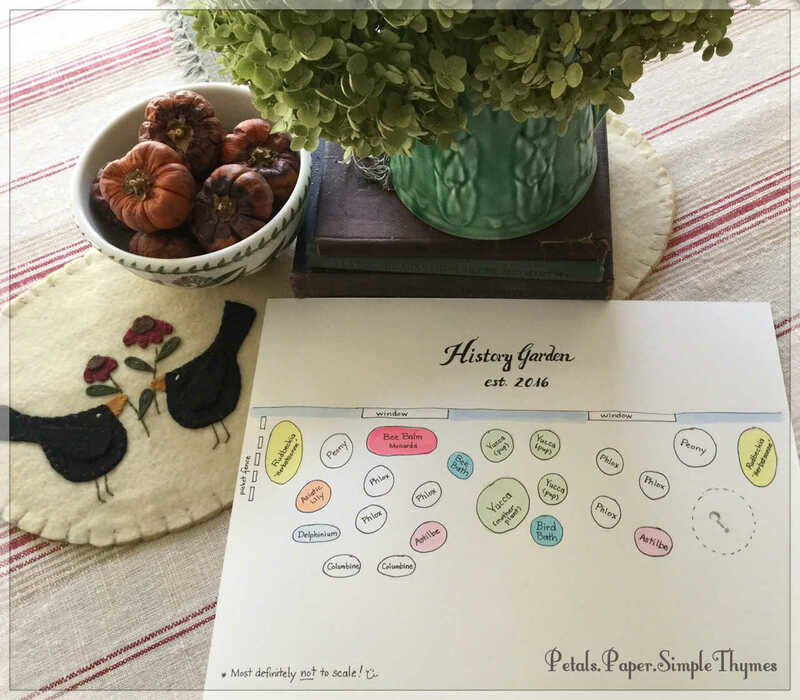 Every Spring, I was so grateful that I had those little garden maps to help me identify the foliage as the perennials peeked through the soil! Every year, I took photos to document the changes as my garden grew. With the advent of digital photography, my garden memory-keeping took a different turn. Instead of pencil and paper, I began recording the changes in my garden with weekly photographs of each perennial and herb bed. At the end of the growing season, I looked forward to creating a digital slide show of the year in the garden. I adored those slide shows, burned them to CDs, and shared them with family and friends. What could be sweeter on a cold, Winter’s day than to take a year-long ‘walk’ through the garden, while enjoying a cup of tea! It was also a great resource as I planned for the next gardening season. For the past three gardening seasons, my blog has been a handy place for garden memory-keeping. 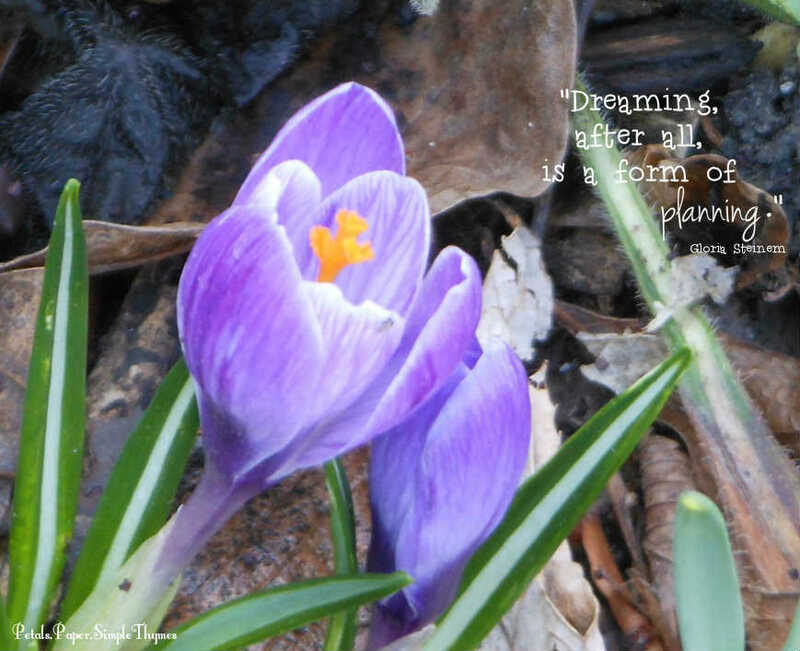 It’s fun to look back to see when my perennials bloomed and to plan for changes in the garden. It has also been a great way to share plants with nearby friends. After seeing blossoms in blog photos, several friends have come to dig flowers to start gardens of their own. Sharing plants is truly one of my favorite joys of gardening! 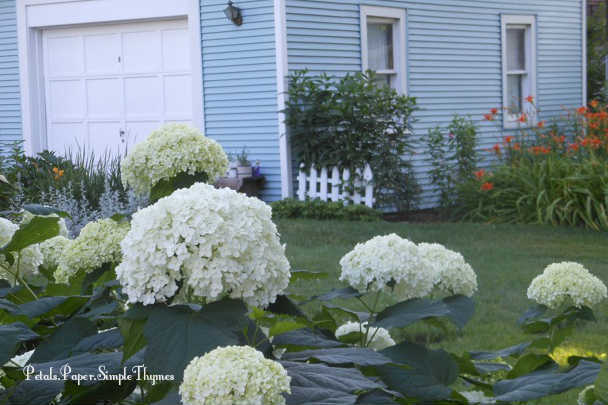 Last summer, inspired by the wonderful book The Right-Size Flower Garden, I began making some very big changes in my garden. I decided to eliminate my large Cutting Garden bed, and transplanted several old-fashioned favorites to the borders of my Herb & Tea Garden. 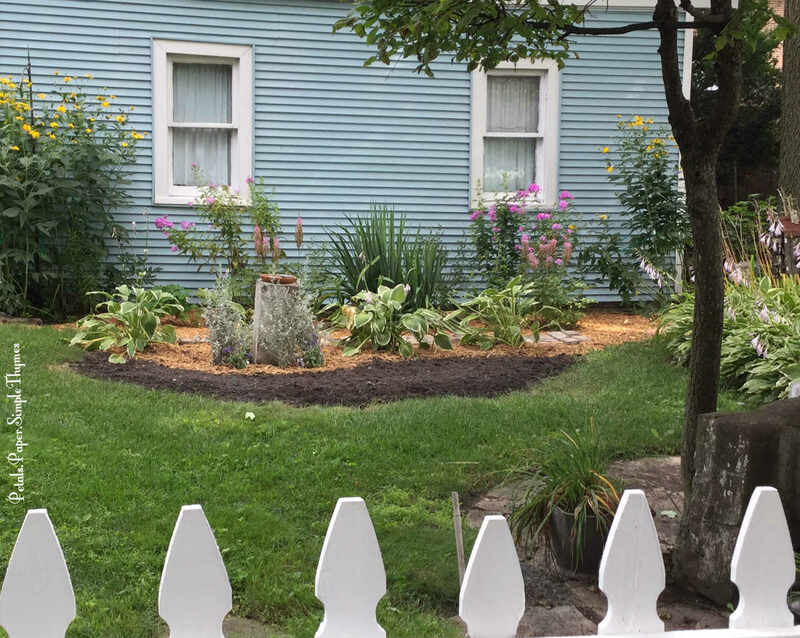 Next, I eliminated a very wild Butterfly Garden bed and created a History Garden bed filled with perennials that have been a part of my garden since long before I moved here. 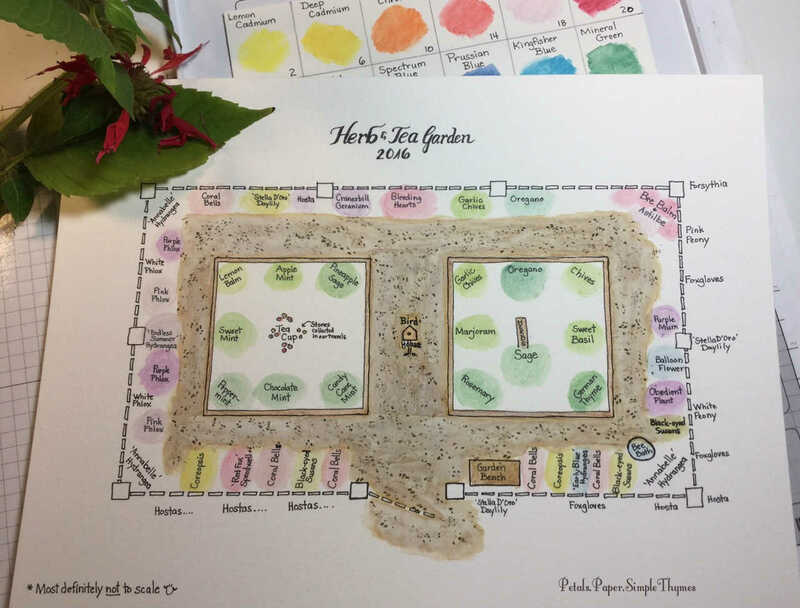 After all of these changes, I sketched and watercolored two new garden maps. Thank goodness for the garden maps! 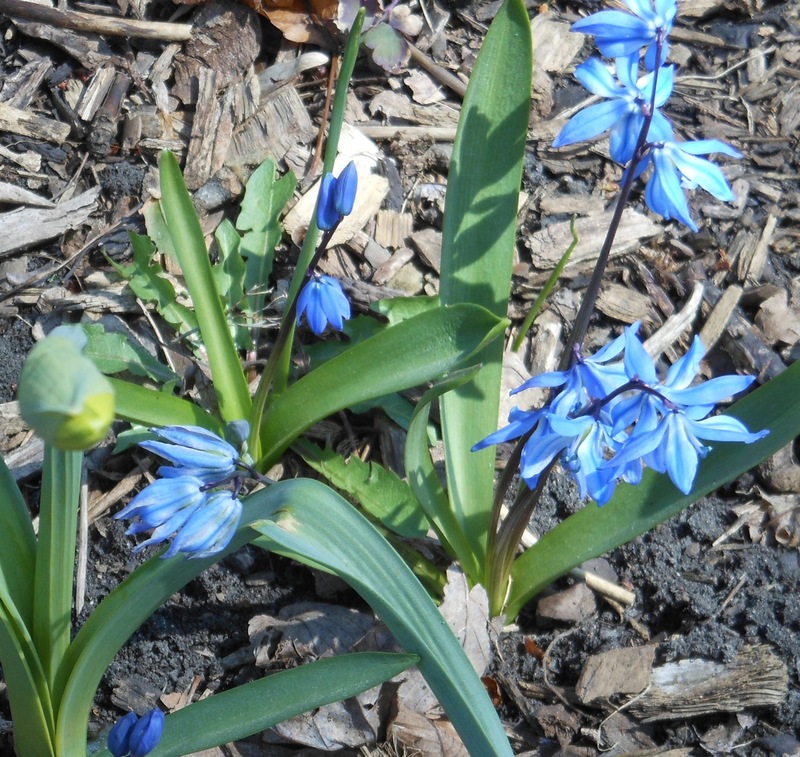 Now it is such a delight to watch the foliage of those perennials emerge in their new beds this Spring! There will be many more big changes here during the 2017 gardening season as I continue to ‘right-size’ my perennial beds in the front yard. It feels like this could be the year that my garden will undergo the biggest changes of all. 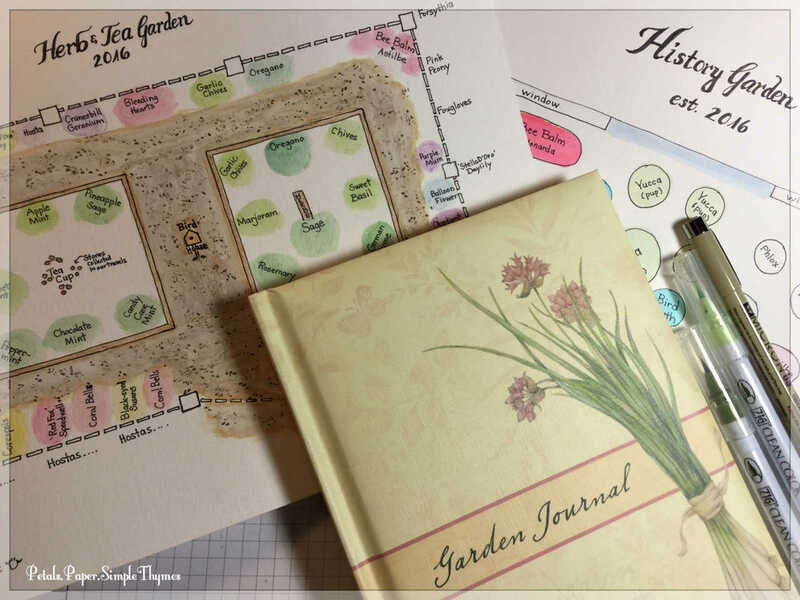 In addition to garden maps, photos, and gardening blog posts, my heart has been wanting an extra-special way to preserve this year’s garden memories. 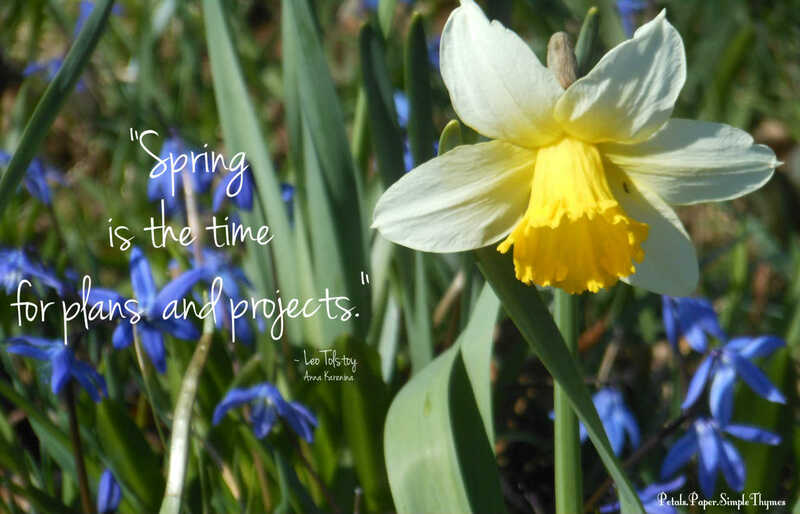 and feelings about all of the changes ahead in my garden this year. as I document this year’s garden! There will be a bit of doodling, along with bullet-style journal entries. So far, I’m really enjoying this style of memory-keeping! 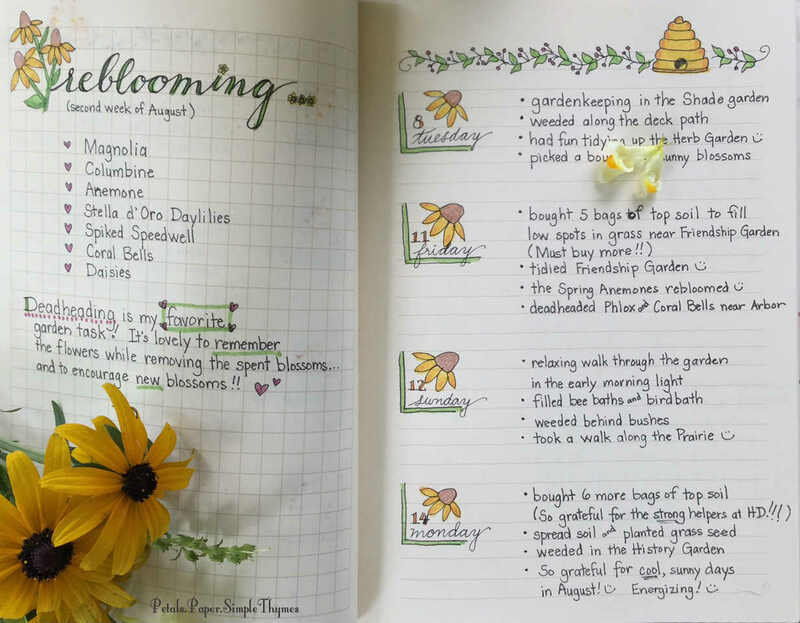 It’s inspiring to try something so different from my earlier garden journals. 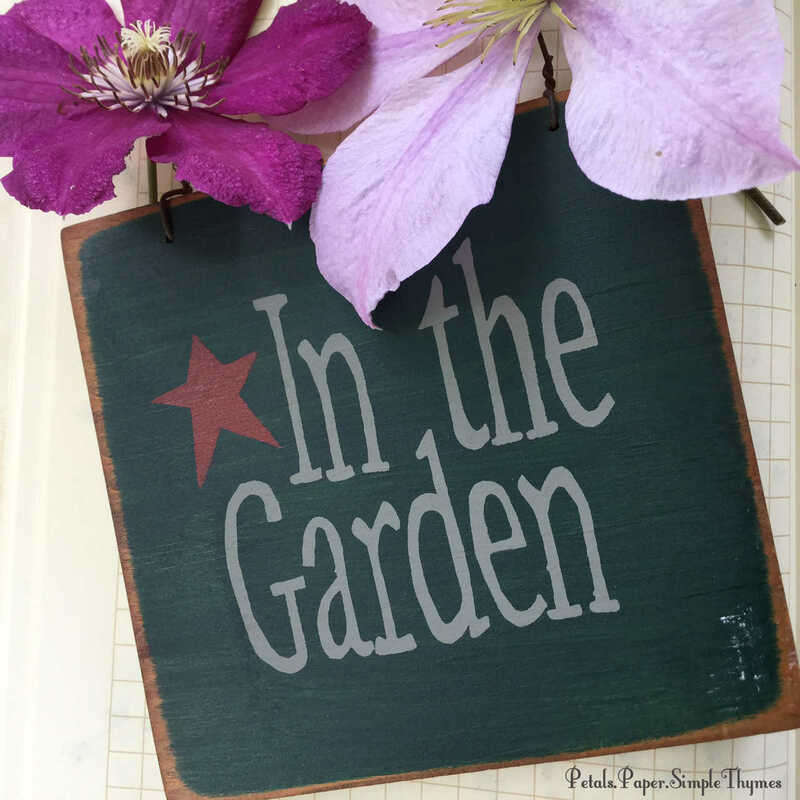 It’s a fun way to nourish my creative soul and grow… just like my garden! 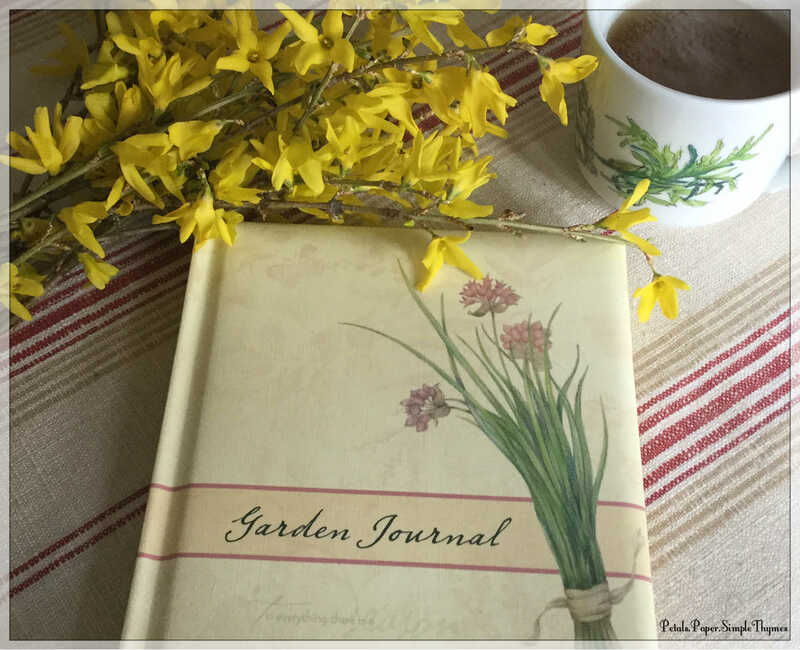 Do you keep a garden journal or preserve your garden memories in some way? Hope you will share with all of us! be sure to visit my blogging friend at Jean’s Garden. 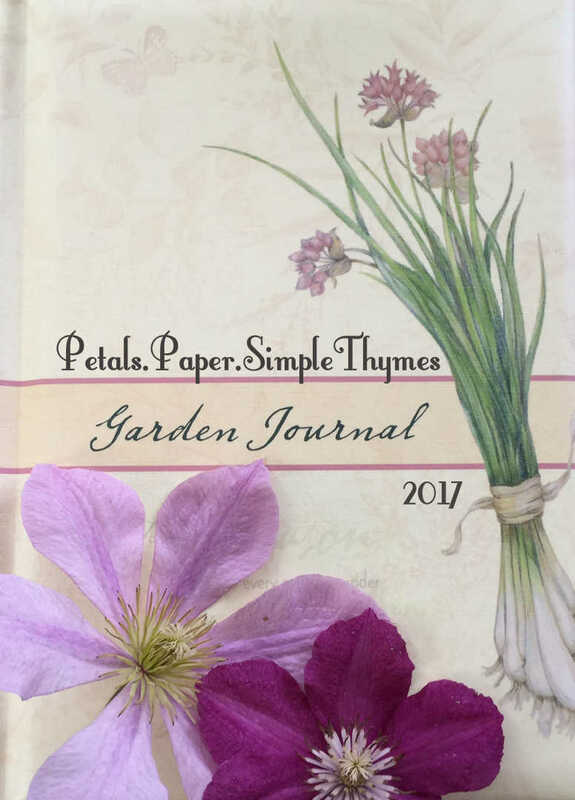 Garden Record-Keeping and has some very helpful tips to share! Thanks so much for stopping to visit! It’s your time to bloom! As the winter days and weeks pass, I have been on the most wonderful, heartwarming journey! This path has led me to lovely places of inspiration, time in nature, quiet hours of thinking and journaling, and most importantly, creative time in my little Paper Garden studio downstairs. Matters of the heart… most certainly! 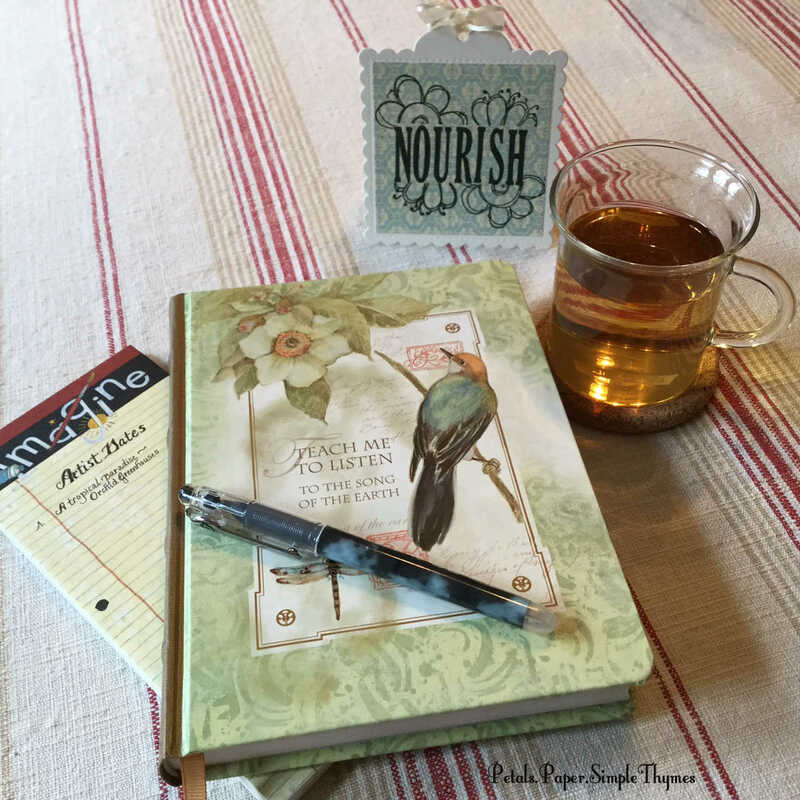 All year long, I am focusing on nourishing my creative heart and soul. It feels great… and has yielded happy discoveries that warm my heart and assure me that this journey is a truly important one! One of my ‘guides’ on this journey is the inspiring book, It’s Never Too Late to Begin Again (An Artist’s Way Program for Retirees and Other Creative Souls), by Julia Cameron. Enjoy this post from January to see how this journey began. Several times a week, I now begin my days by writing Morning Pages. It has become a quiet time of discovery, connections, and enthusiastic planning for my creative hours in the studio. One of my favorite discoveries has been the creative ‘ribbon’ that has curled throughout my entire life! From the ages of 8, 18, 28 and into my Renaissance (the ‘R’ word that I use for my retirement), my love for lettering, playing with inks and watercolors, photography, making cards, writing letters, and collecting quotes has always had a special place in my heart. So many sweet memories… I thought about my childhood journals. I remembered my early years as a teacher, with no money for art supplies, when I would heat emboss sentiments for cards over my toaster (not recommended!). I recalled having the entire kitchen floor of my apartment covered with handpainted green flourishes drying as I created Christmas cards. I smiled as I thought about all of the famous quotations, lettered with pen and nib and black ink on parchment, that decorated the long staircase up to my apartment. (They were my homework assignments from years of Calligraphy classes in my 20s ~ perfect for decorating on a budget!) I can still hear my friends saying, “You can get a college education just climbing the stairs to Dawn’s apartment.” Yes, truly… matters of the heart! 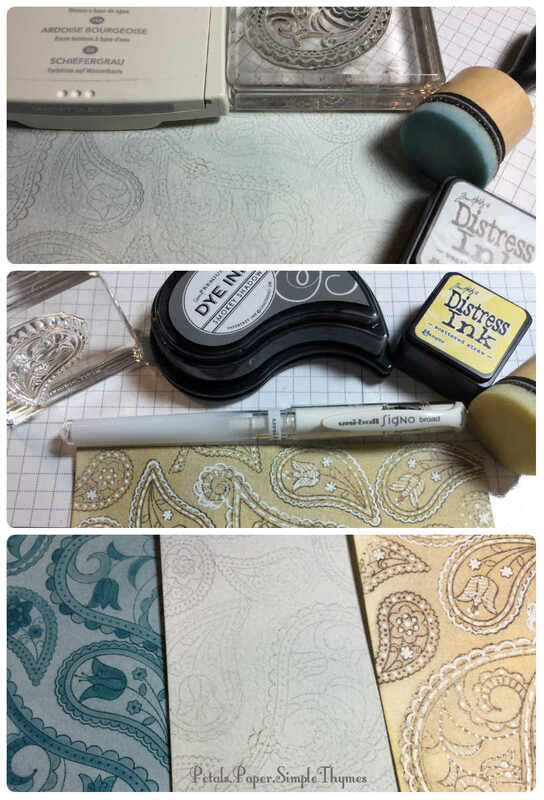 So, it was a joy during the past few weeks to be able to nourish my creative heart by attending two lettering workshops, a cardmaking workshop, and two Saturday Papercrafting Crop days with my crafty ‘tribe.’ I have spent so many mornings enjoying glorious time in the studio… feeling fresh and inspired! Weekly Artist’s Dates have become one of my favorite parts of The Artist’s Way program. Taking the time to nourish my creative spirit makes even familiar, favorite places seem new again! 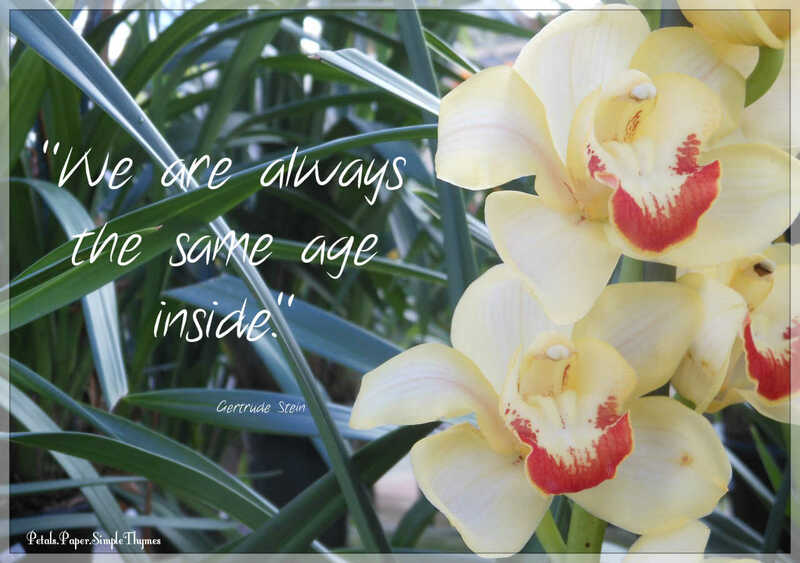 While walking through beautiful Orchid Greenhouses I thought about the color combinations on the blossoms. 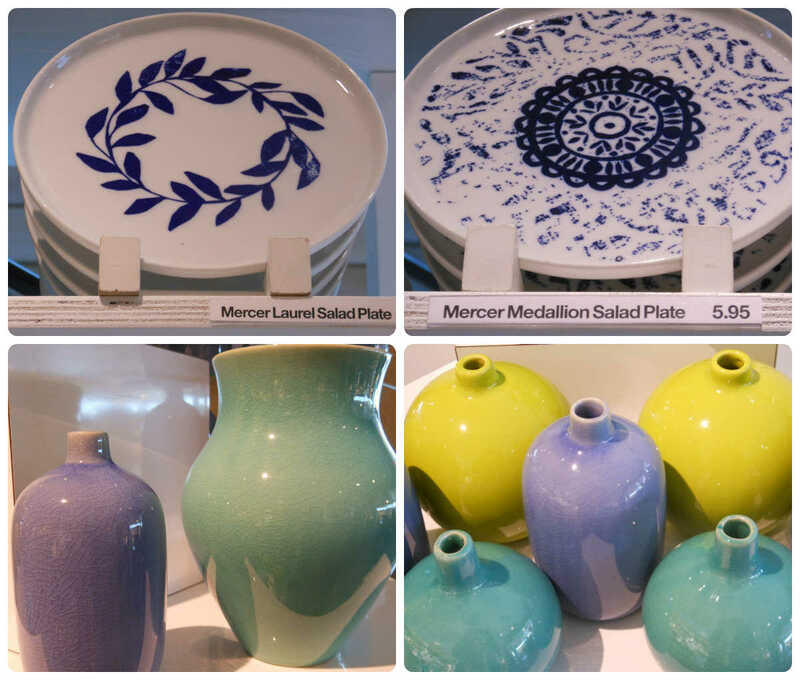 Rather than shopping, I wandered through my favorite store, Crate&Barrel, with a whole new purpose. I looked at patterns, textures, and colors for inspiration. The textures, patterns, and colors on upholstery fabric and duvet covers caught my attention. Paisley patterns danced in my head for days. 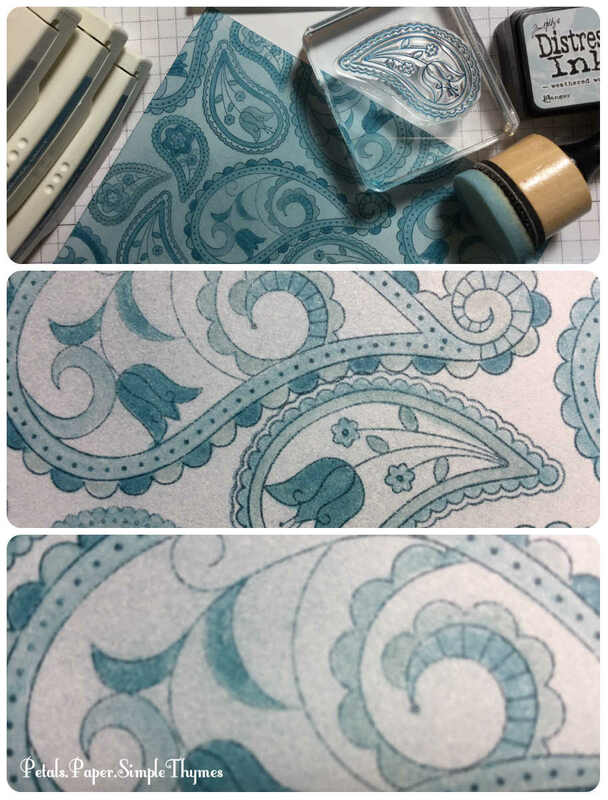 It was time to create some Paisley patterns of my own, using paper and ink! A rare warm, sunny January afternoon inspired an Artist’s Date at the Morton Arboretum. As I strolled along the beautiful ‘Conifer Path’ I was immersed in the heady evergreen scents. Nature’s scents are what I miss the most in the middle of winter. 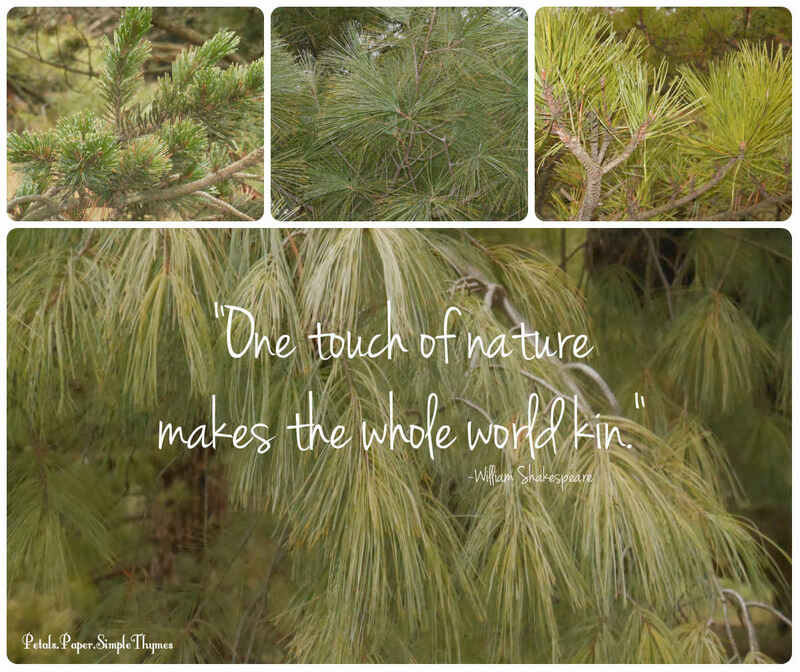 I noticed all of the shades of green and the forms of the needle-filled branches. and perhaps adding a hand lettered quotation. 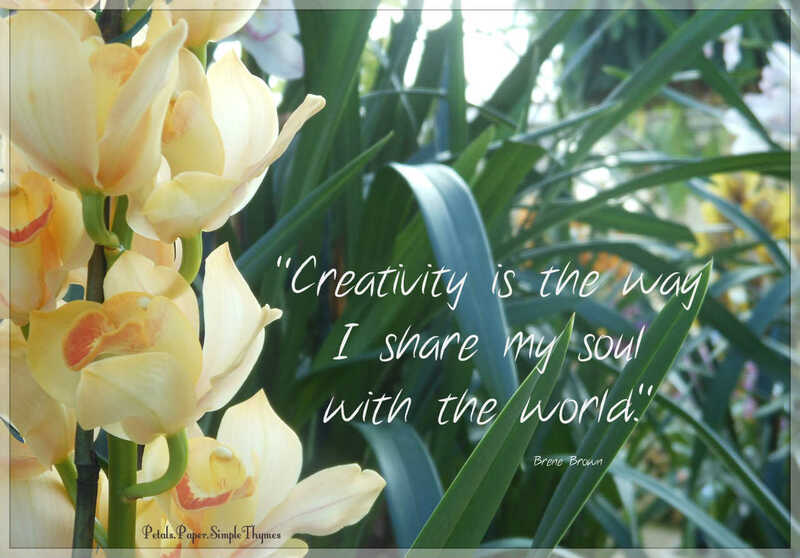 These are matters of the heart… that nourish my creative soul! Last week, my Artist’s Date was a quiet morning spent in a wonderful, independent bookstore, Prairie Path Books. I could instantly feel that I was among friendly, interesting, kindred spirits there! They were curious to hear about my journey through The Artist’s Way program. In fact, they have even hosted Artist’s Way gatherings there in the past. So, they completely understood that I wasn’t shopping, but there to learn and discover instead. I spent time reading the opening passages of several beautiful memoirs. The words of each author filled my heart with new inspiration. 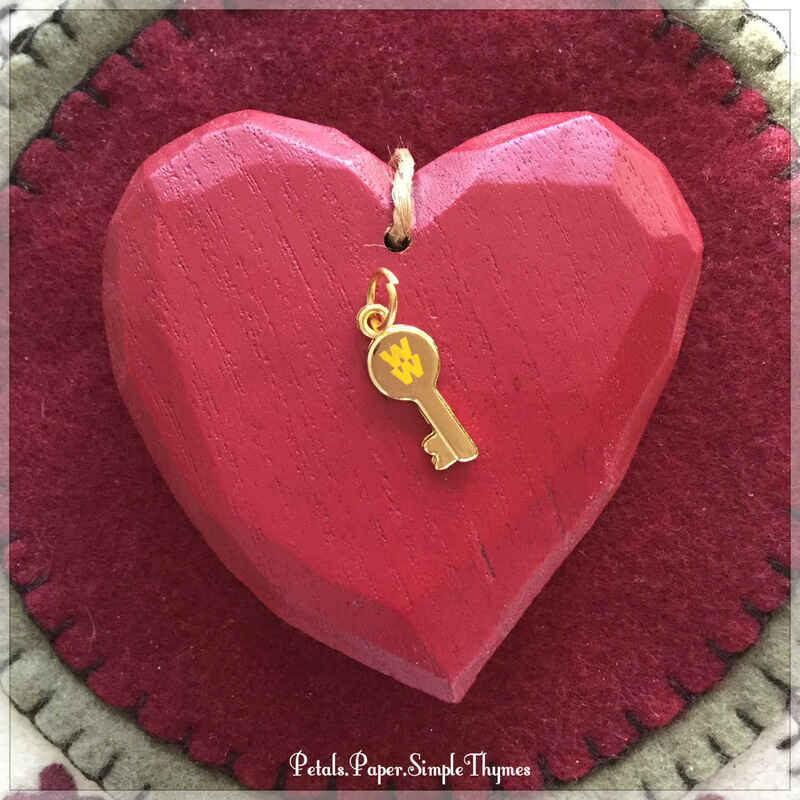 Matters of the heart… I have given so much thought to each exciting ‘tool’ in It’s Never to Late to Begin Again over the past few weeks: Morning Pages, Artist’s Dates, Solo Walks, and Writing Memoir. Each one is so valuable and each takes time. Since my goal this year is to nourish my creative heart with creative time in my little studio, I will be tweaking The Artist’s Way plan going forward. There must also be family time, time for workouts, time for home and garden projects, tea with friends, reading, scrapbooking, blogging, and travels. So, I have decided to s-t-r-e-t-c-h this 12-week journey of discovery into a 12-month journey. Ahhhhhh! I’m really looking forward to working at a much slower place, and having more time to write memoir. It’s something that I have long wanted to begin. Telling our stories and documenting our lives in different ways is yet another ‘ribbon’ that curls throughout my life. and when my heart speaks, I always listen! this journey of discovery or possibly joining in! or contact me quietly through ‘Say Hello’ on the blog. of the friends who gather here always inspire me. 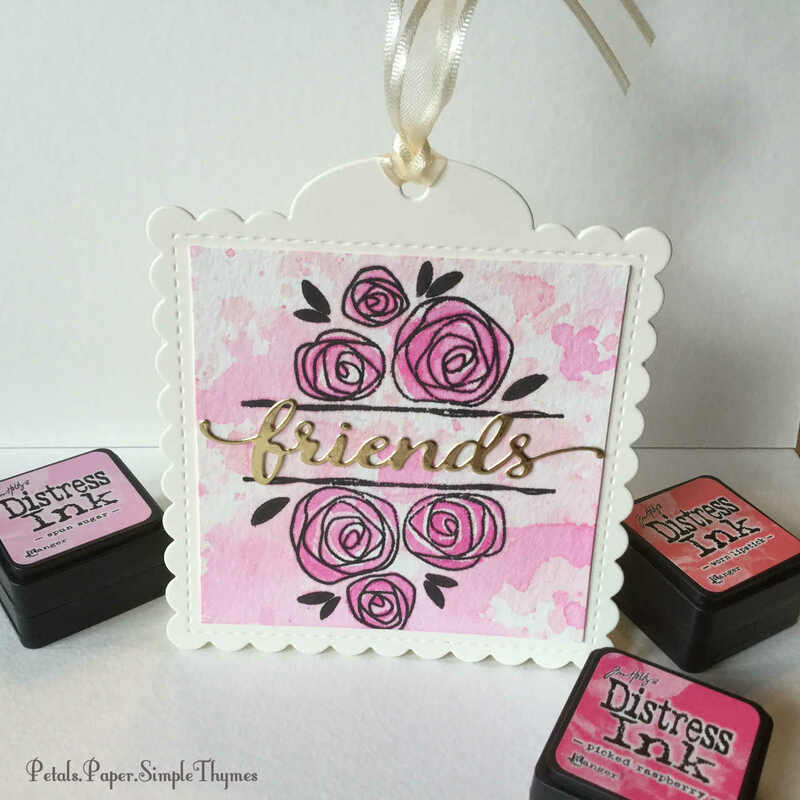 Supplies: Papertrey Ink stamps, Papertrey Ink tag die, Simon Says Stamp ‘friends’ die, acetate for ink smooshing technique, water mister, paintbrush, Distress inks, Versafine Onyx Black ink, Canson watercolor paper,… and lots of love! and for allowing me to be a part of yours!